- Used for making acoustic panels, stair treads, pipe guards, ventilation grilles, sun protection slats, facades, sign boards, etc. 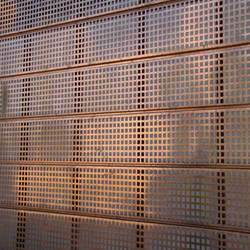 perforated copper sheet metal is visually stunning and has countless practical uses in structures, furnishings and more. 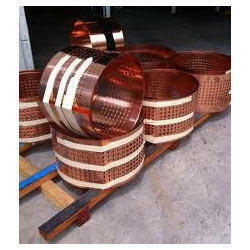 at accurate perforating, we are leaders in perfectly crafted perforated copper products.